We are suppliers of safe, effective and eco-friendly solutions for removing industrial and domestic paints, varnish, lacquers, powder and other coatings. The majority of our chemical paint stripper/remover products are non-hazardous, non-toxic, 100% biodegradable and do not burn skin. We supply direct to professional, industrial and DIY users. All MSDS sheets available on request. Products For Effective Coating Removal. Our paint strippers and coating removers are equally effective for the professional or DIY user. 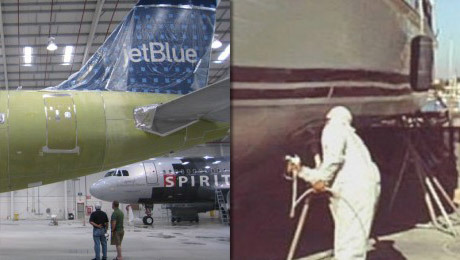 Socostrip A0103N and Socostrip A0105N adheres firmly to the sides of the fuselage without run-off. 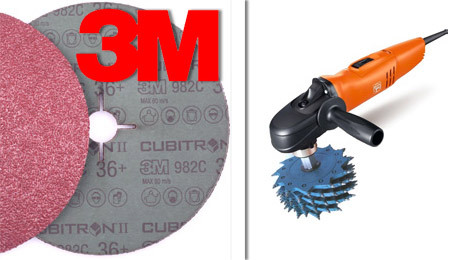 3M Cubitron™ II Fibre Abrasive Discs for stainless and carbon steel. Perago Rotating Blaster Discs for removal of coatings and rust. All our products sent by courier from our website are non-hazardous. For professional grade products which may include corrosive properties please call for orders or enquiries.